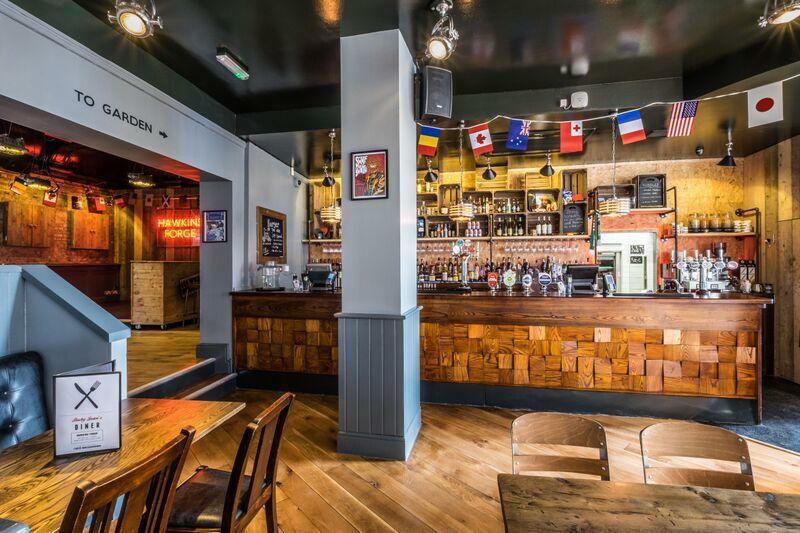 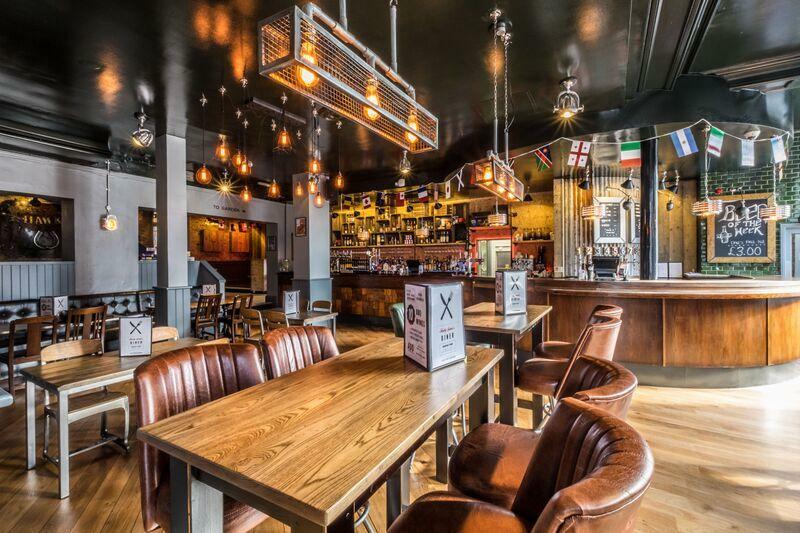 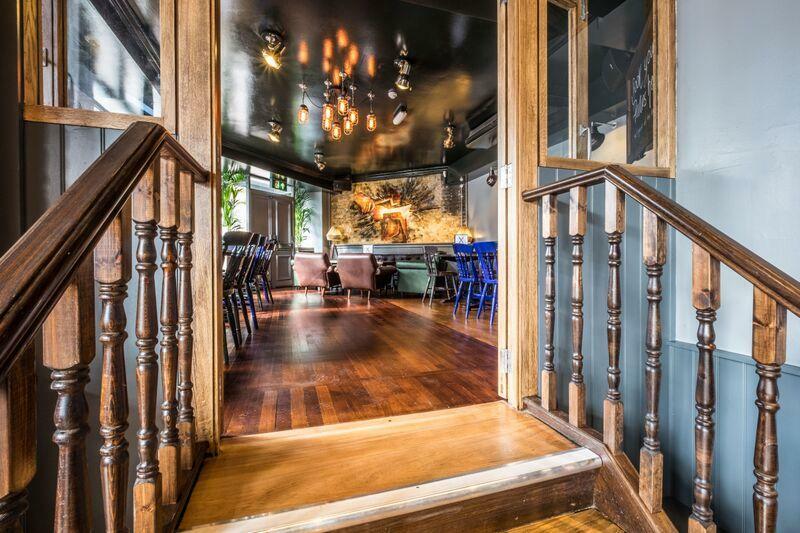 ‘The Hammer’ is a fully private room, with capacity for up to 45 seated or 60 standing guests. 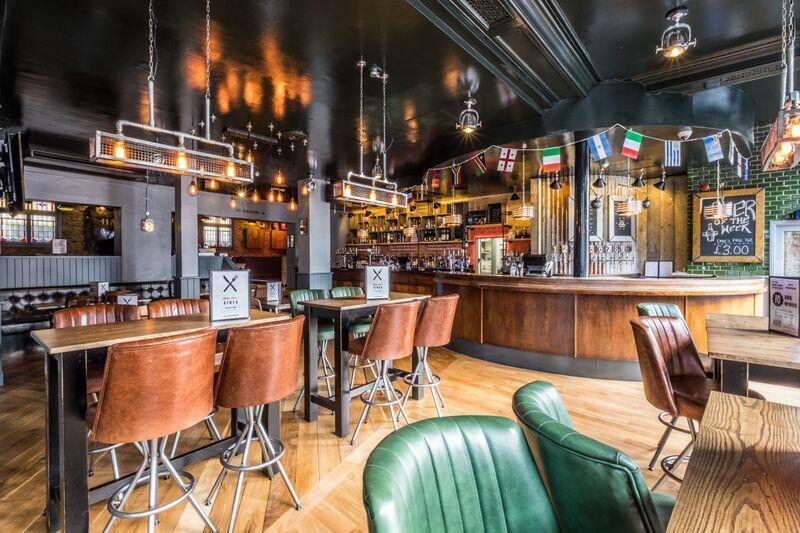 Offering audio-visual equipment, personal music-playing facilities and Sky / BT Sports, we’ll be happy to cater to your party’s needs so please contact us to discuss your requirements. 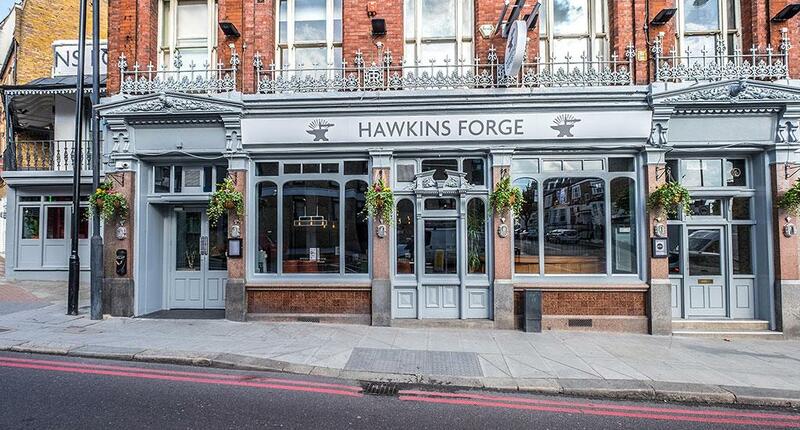 Located in the heart of Battersea, close to Clapham Junction tube station, Hawkins Forge is a quirky and individual British pub reflecting the spirit and community of one of London’s oldest and most vibrant districts. 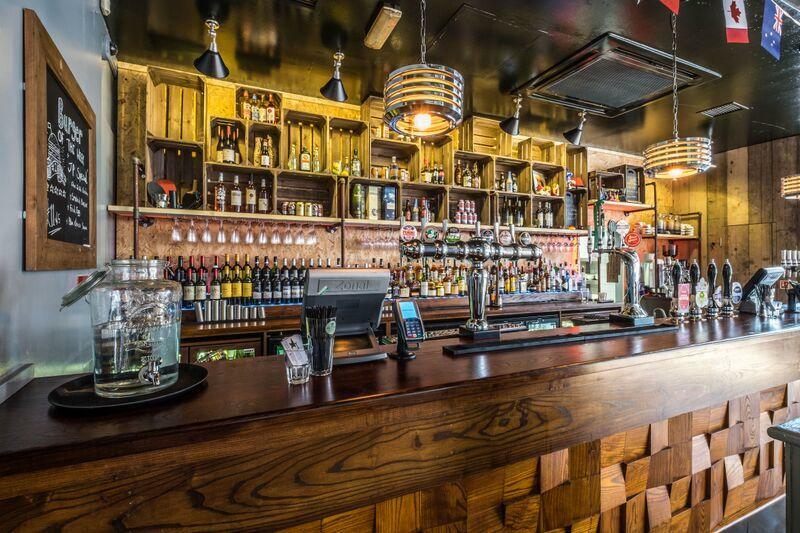 An irresistible fusion of fantastically tasty food, awesome drinks and an upbeat atmosphere await you here; our open-plan, multi-level layout offers bags of space in which to kick back, relax and catch up. 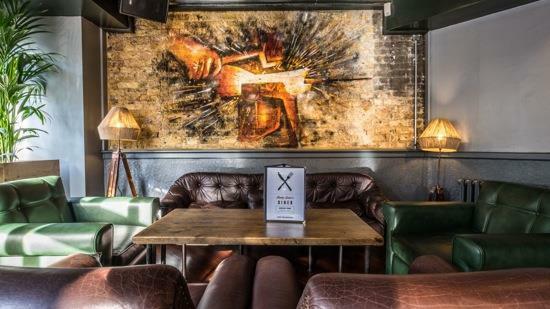 Complete with creative 70s-style seating, exposed brickwork and wall art reminiscent of the pub’s previous role as a blacksmith’s workshop, our funky interior creates the perfect spot for a lazy brunch, light lunch or social eats with friends. 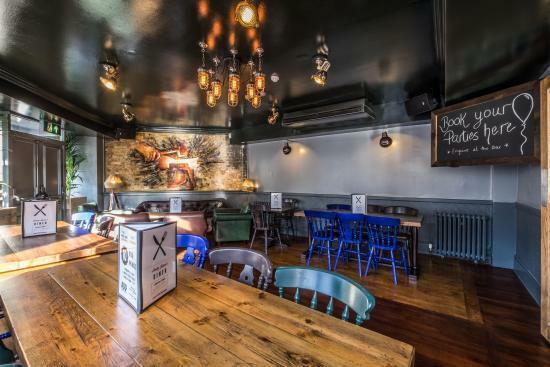 We cater for all occasions and make it our mission to offer you the warmest welcome in Battersea.